Three is a very unique number. In the same way that every word has a meaning, so too does every number. Through the last ten years I have been intrigued by my ever expanding understanding of the Power of the Wisdom of Three. This power touches each of our lives and many of us don’t take the time to notice the impact this small yet significant number has on our life. Dating back over six thousand years ago, the number three was given to stand for unity. People understood that when three people were brought together in thought, word and deeds unity was always present. Still today, when two people have opposing beliefs it is a third who is solicited to break the tie. With the same level of accuracy the number three was thought to signify solutions. Lessons that held three simple concepts were the ones easy to teach, remember and apply; successfully bringing a solution to the problem. That is why, these early learned people, used this unique number to pass down traditions we use today; touching our personal, professional and spiritual personas. 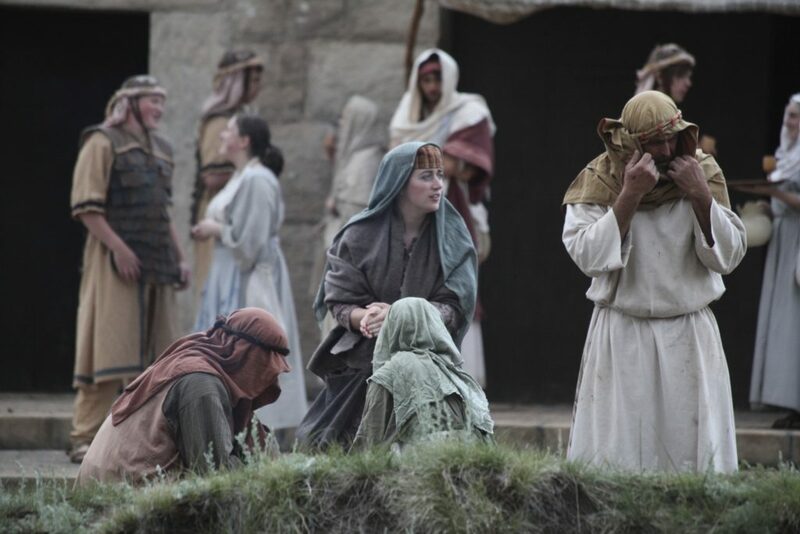 To illustrate these truths, we need only read the stories of the early Christians written over two thousand years ago; giving meaning to our Holy Week celebrations and the memorials of our Savior. If you consider only the accounts of the week that made up Jesus’ passion; you will find many uses of the number three. Each application provides us, as well as the people of that time, with either an understanding of unity and / or a solution to problems presented. One interesting example is the way Jesus accurately predicted that Peter would deny him three times. Peter was a trusted and loyal disciple; so why would he, of all people, deny knowing his honorable friend whom he loved so much; not once, not twice but three times? This incident greatly exemplifies that we are, at our very core, a self preserving race. Peter and all the apostles were fearful of their lives after seeing their teacher arrested and abused. He knew that Jesus was the most innocent man he knew and yet he watch him being tormented in ways no one would dare openly submit to. It was Peter’s humanity that was tested three times, not to break him but to unify him. It was through these three denials that Peter was unified to Christ. In addition, these failures would act to strengthen three entities; Peter, those who would follow him and the future Church. It was on that Holy Thursday night that Peter came face to face with depth of his Lord’s first commandment. To love was our self, community and our God; even under the threat of persecution, is the hardest thing one could ever do. Unlike Judas, who also denied Jesus three times that week, Peter found the solution in God’s forgiving love. Judas had much more time to reverse his actions but he chose not to; yet Peter had minutes between his indiscretions. Though Judas did finally repent by giving back the money and confessing that he did a terrible thing; he still was unable to accept the grace of God’s mercy. Instead, he gave up on Jesus; taking his own life in an attempt to ease his own self inflicted suffering. Peter on the other hand, learned from his three mistakes and became a champion for the world. For three years Peter experienced the essence of Jesus. After Jesus’ resurrection, Peter was likely one of the first to feel the essence of God and would soon be introduced to the essence of the Holy Spirit. 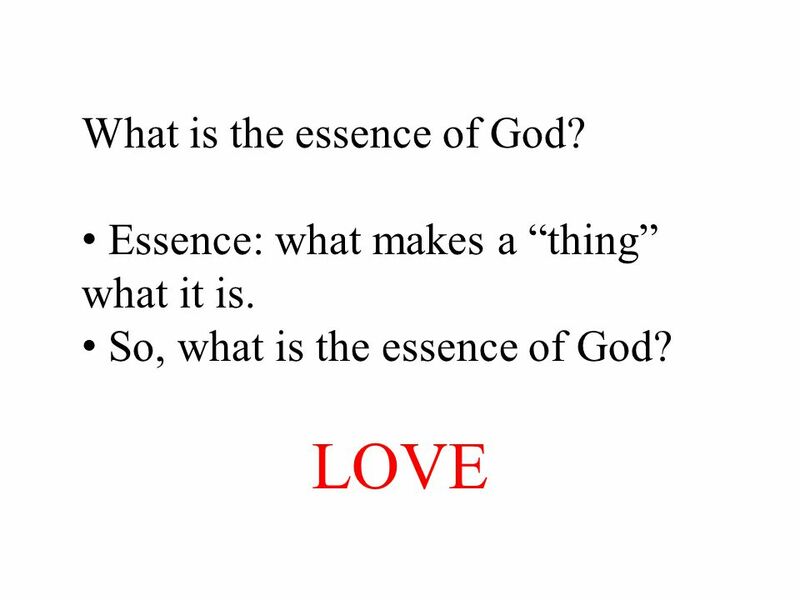 God’s divine Essence magnified but not different from the three individual persons of the Trinity. Just as every person has three humanities; mental, physical and spiritual we have one singular essence. Our mind cannot think one way and have the body and soul act imposingly. What we think becomes our words and then our deeds. Our deeds are the result of the strength of our essence. When we overcome great struggles like Peter did, our nature becomes a new and powerful essence; felt by all who experience us. We are never the same again. Our essence is magnified in our trinity; our mind, body and soul. God’s and our essence are not distinct from our three personas; instead we become distinguished by the unity of the three. If this is my last post, I want all to know there was only one purpose for all that I have written; to have made a positive difference in the lives of others. 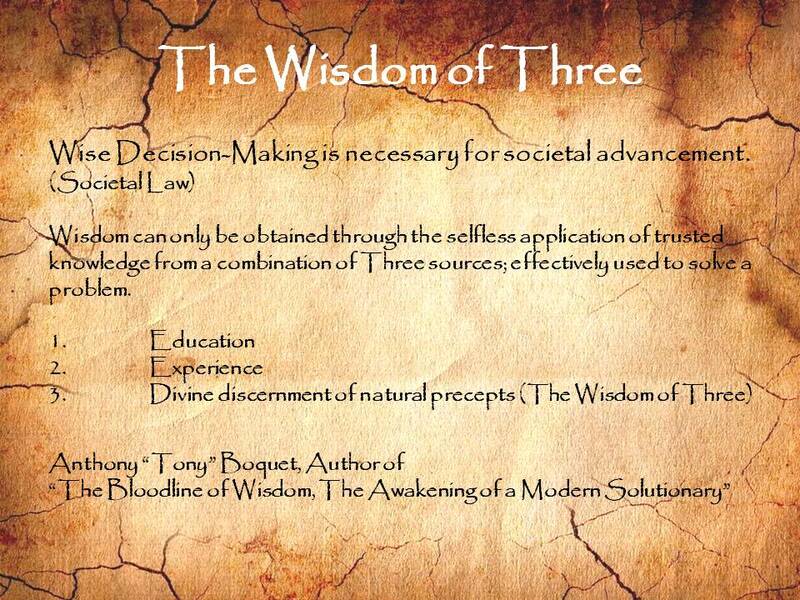 Anthony “Tony” Boquet, the author of “The Bloodline of Wisdom, The Awakening of a Modern Solutionary”, your source for additional information about the Power of the Wisdom of Three. In recent years there has been a tremendous amount of controversy about the American media and something called “Fake News”. When I was young; fake news existed but it was called lies, not news. We were raised, not to put much stock in things we read, heard on the radio or saw on the television. Instead, we depended on something more important; something called trust and it was not given, it was earned. Fast forward a few generations and along comes this little thing called the Internet. Over time it has grown exponentially from a couple of hundred searchable sites into a massive repository of information. Gone are the old paper books of encyclopedias along with their searchable indexes. Here to stay is the with-you-always, ever present, all-knowing entity of Google, Bing or Siri; just to name a few. I cannot tell you how often someone has told me that they learned something on the Internet. As someone who places a high value on education, I am always happy to hear that we, as a people, are still interested in learning. It does however, bring into question the quality of the content being relied upon without two of the three sources of knowledge, experience and ethical values. The level of unwarranted trust placed on this education alone could present more problems. It may be decades before we truly know the ultimate price society paid for this massive shift away from the reliance of an experienced, value based trustworthy source of knowledge. Are we trading the importance of trust for convenience, the unlimited and unimaginable abundance of quantity? 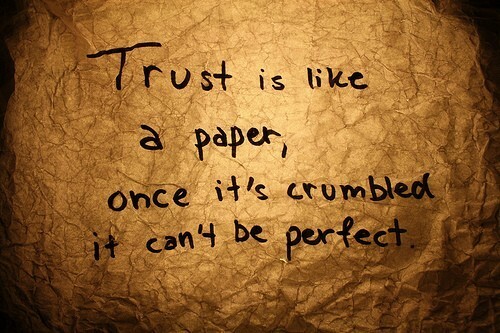 Without trust, what good does this vast information really serve? Without a doubt, the Internet has broadened the scope of our knowledge. At the touch of a finger, from anywhere and at anytime of the day or night, we can scour the endless resources of information like never before. However, we should never forget, that this information or education is comprised of all levels of accuracy. Some reliable, truthful and factual with an equal amount being conniving, manipulative and deceiving. Furthermore, the sheer volume of the material along with the speed new data is added makes sorting, classifying and justifying the truths from the lies almost impossible. Education is just one of the three sources of knowledge we need to make the best decisions. To emphasize this point. let’s consider a widely used feature of technology, the Global Positioning System. Today, everyone who drives a car or a bike or walks in a strange city; uses the GPS feature on their phone to get from point A to point B. By simply entering the locations into the program, it calculates the turn by turn directions for the trip. No longer do we need to decide the course of travel, the system does it for you and at fifty five miles per hour we blindly trust this computer. Even though there may be multiple routes to get you where you are going, the system can be allowed to make the choices for us. Why do we explicitly trust this technology without a second thought? Should we trust the facts of any decision that effects our safety without also referencing past experience or the ethical and moral sources of knowledge? I know, from personal experience, a GPS location is not always “correct”. In other words, this trusted source of guidance is not always true and even when it is true, it might not always be safe. I have been brought to the wrong location many times and in some cases the program selected roads that were unsafe to travel. As a motorcycle enthusiast, I have been placed on gravel roads that presented serious hazards to an unsuspecting motorist. Still, we trust this information as we would a loyal experienced friend. Further, when traveling in large cities, the selected route can bring you down dark deserted alleyways or through unsavory neighborhoods. Streets you would not select if you knew the area nor would you ever suggest this path to someone asking you for directions. So, even with all the facts, we can still make bad decisions without the experience and caring guidance from an ethical and moral person. We must realize that even in today’s education rich world, any source of knowledge should be verified before being earning the stamp of trust. The idiom “two sides of the same coin” is a very meaningful phase that hold multiple applications in our world. With that said, on the surface it also falls short in the understanding of the three dimensional world in which we live. Look at any coin held off from a side angle. You will quickly notice that the coin has three sides, not two. The edge of the coin brings in the third dimension; one that holds the true meaning of the statement itself. The coin is much more than the sum of the two images on the two prominent sides. What lies in the middle is the reason the side images can even exist. Once more, The Power of the Wisdom of Three can be held in the palm of your hand. 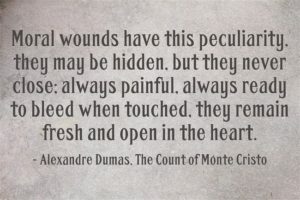 This saying is usually “coined”, pun intended, as a reference to the opposites of any one’s true nature. Meaning that we cannot determine the coin’s value just by considering a single engraved image found on either one of the two opposite sides. The same can be said about people. Whether we show the world the good that we do or the mistakes that we make; our value is the sum of both sides and the often ignored middle. After all it is the middle that allows the two side images to exist. This is why that I believe it is the important middle that should not be overlooked. Consider how our whole is made up of all three sides, not just the two that we intentionally showcase to the world. The images we project through our actions will either be good, bad or neutral. We make choices every day that will either benefit, harm or have no effect on the three entities of every solution. 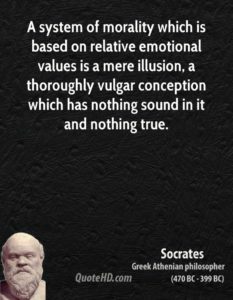 Even though our true value to society comes through the good that we do, as with the example of a coin, our conceived value doesn’t vary immediately when we do bad. The intrinsic value of a coin is found in the metal in the middle and our intrinsic value rests in the whole of our being; mind, body and soul. Cannot a coin be used to fund good as well as evil and at the same value? 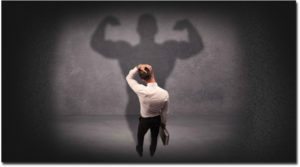 The tri-images that we present to the world are created through the tri-nature of our body, mind and soul which in turn will be featured in the tri-personas of our personal, professional or spiritual lives. No one person can always be bad or good nor a success or a failure; we are all flawed just like every coin is less than pure and somewhat tarnished. As with the coin, it takes both imperfect impressions and the less than distinguishable middle to make us whole. Even though we are flawed, it should not hinder us from doing all that we can to increase our value by doing more good than bad. As I mentioned before, the coins value does not decline immediately when used to fund inappropriate endeavors but over time, when the society that produces the coin begin to collapse, the value of the coin will decline. This down turn always occurs because of the accumulation of an abundance of poor decisions made by the majority of its citizens. The same can be said about a prosperous society or business; it only rises in value when the majority of individuals contributes to the growth and well being of whole. It is this well-being, funded by the selfless giving of ourselves, that supports and enhances the value of the coin through positive actions of the many. 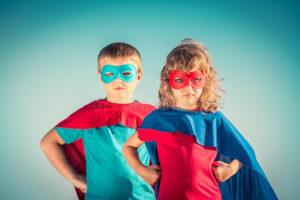 When more members of the team does well by their fellow members, the stronger the whole will be and the higher the net worth of the greater good. 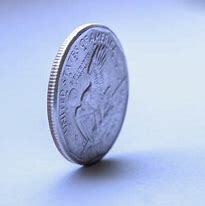 Next time you hold a coin in your hand, toss it around, notice the three sides and think about your personal growth. Your growth will effect that of your family, your work and your spiritual life. The worth of that coin is made up of three sides as is yours. If this is my last post, I want all to know that there was only one purpose for all that I have written; to have made a positive difference in the lives of others. Equality or Fairness; Which Do You Prefer? We are born male or female, healthy or ill and our race or culture doesn’t matter at all. At that special moment of our birth we are all equal in the eyes of our Creator, the world and our parents. However, from that point on our values toward equality begins to change in the eyes of all who pay attention. As we age we each begin to develop different talents, pursue different goals and strive for different aspirations. It is because of these changes that we can never again be viewed, treated or even perceived as equal. So, should we be treated equally? Why would anyone seek to be treated as equal? 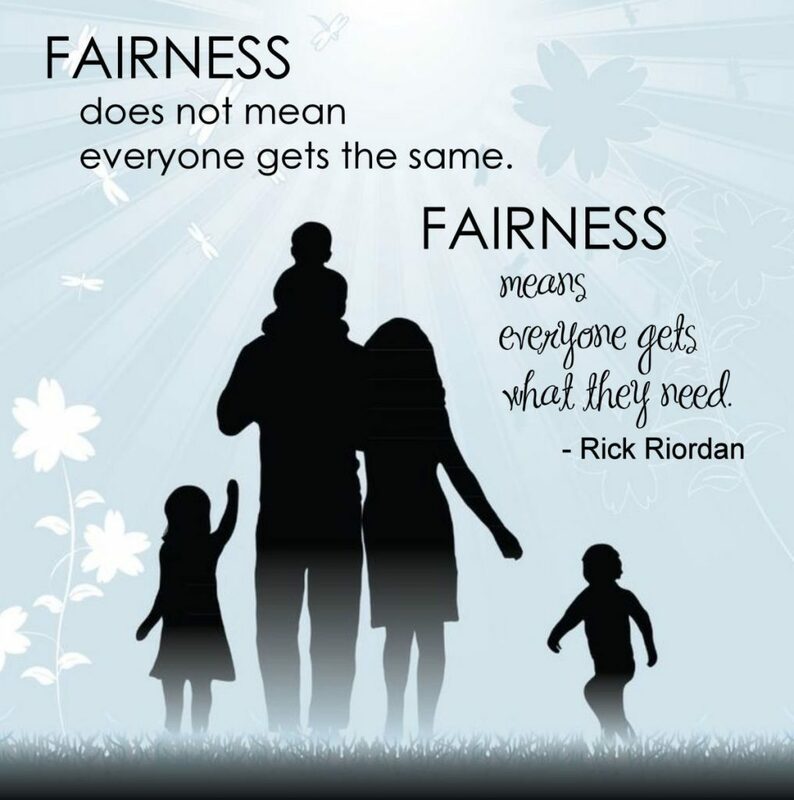 Instead, should we not strive for fairness? 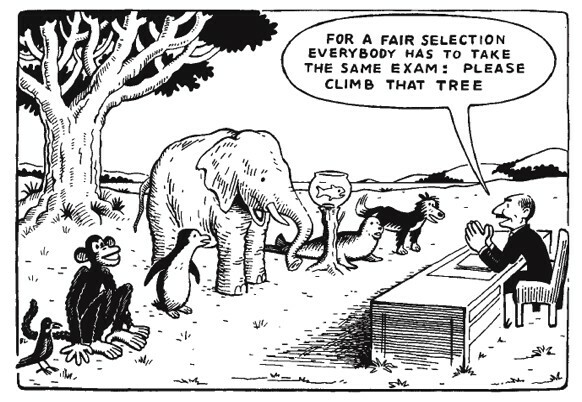 It is through fairness that we show an individual respect earned for those differences that make each of us unique. If gold was not an unique metal it would not be valued as precious. This is why not all people will choose to limit themselves to the standards of those who wish to go through life doing just enough to skate by. It is my belief that the majority are not satisfied with equality but rather demands, expects and wishes to receive fairness. Speaking as a leader of various teams, I always strived to surround myself with people who wished to be better than all the rest. Just think, if we applied the rules of equality to games, businesses or organizations then there would be no reason for competition. If we were to treat every person as an equal to one another we would be working diligently at being mediocre. The difference in being mediocre verses being outstanding is exactly what makes each of us unequal. Picture the most spectacular painting you have ever saw; then ask yourself if you could have painted it. If the answer is no, then you are not alone and you are definitely not an equal to the artist whose work you are admiring; nor should you be. That difference is exactly what makes the work you’re admiring spectacular and I, for one, do not want to ever give up the spectacular for the mediocre. So next time you hear of a school, business or organization’s leadership crying that we should not keep score, whining that everyone should be a winner or that everyone must be treated the same; think of that spectacular work of art, the gold medal athlete or the hardworking successful business owner who started their business with one hundred dollars and a dream. These remarkable people would not exist in the world of equality. Instead, the world of art would be full of ugly painting because everyone would paint like the rest of us. We would lose way more than we win because everyone would stop practicing too soon but worst of all we would all stop dreaming. It is for these reasons that I believe we were created equal to give us all a fair start but we are destined to be unequal and to accomplish extraordinary things through the use of our unique talents, skills and abilities. By definition, nothing can be considered greater than without first surpassing equal and to make that leap all we need is a fair chance and the belief that we are special and unequal. Author Anthony BoquetPosted on December 11, 2018 December 13, 2018 Categories Inspirational, Mentoring, MotivationTags equality, ethics, fairness, successLeave a comment on Equality or Fairness; Which Do You Prefer? 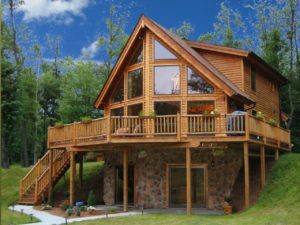 A master carpenter who worked for the same builder for nearly 50 years announced he wanted to retire. The builder told him how much he appreciated his work. He gave the carpenter a $5,000 bonus and asked him if he would build just one more house. The builder owned a magnificent lot with a spectacular view, and said he wanted to build a dream home there. The carpenter was bitterly disappointed at the small bonus, but his last building fee would help him buy a small cottage, so he agreed to build the dream house. 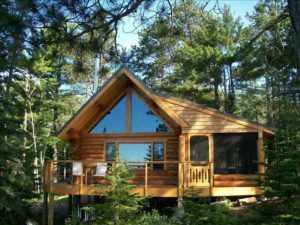 The carpenter had always prided himself on his uncompromising commitment to quality, but resentment over this last job caused him to cut corners, ignore details, and accept shoddy workmanship from other workers. He even looked the other way when some of them substituted cheaper materials and pocketed the difference. When the house was finished, the builder shook the carpenter’s hand and, with a huge smile, gave him an envelope with a thank-you card and a folded piece of paper. The carpenter was disdainful until he unfolded the paper and found the deed to the house he had just built. The carpenter was ashamed to have misjudged his old friend and betrayed his own values, and he was remorseful that the house he would live in for the rest of his life had been made so carelessly. Our character is the house we live in and it’s built piece by piece by our daily choices. Deceit, irresponsibility, and disrespect are like shoddy workmanship. Whenever we put in less than our best and ignore our potential for excellence, we create a future full of creaky floors, leaky roofs, and crumbling foundations. This parable emphasizes the power we each possess over the construction of our lives. We are each leaders of our self, our family and / or our work. 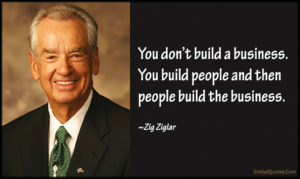 As the leader we determine the quality of workmanship based on our level of personal development, the quality of materials we choose to work with by the people we choose to bring into our lives and the quality of environment which we choose build our structure on through the places we live, work and pray. Thus begins our daily construction of the ultimate work of art that is destined to be our life. A master leader will pride them self on the work that goes into every project they are involved in. They will take the time to develop personally so that they are the best they can be. The materials they will use will be of the highest quality. The leader understands that once they start using subpar materials, the reflection will come to rest squarely on the leader’s shoulder. When the valued leader gives the very best talents, skills and abilities using the very best resources, the structure must be positioned in the very best environment. One would never build a mansion on a weak or unstable foundation so why would a master leader choose to operate in an environment destined to sink or collapse. Also consider the Power of the Wisdom of Three using the features that make up every construction; the foundation, the walls and the roof. Every building must have these three building blocks. The foundation must be solid, stable and strong so as to bear the weight of the entire structure. The permanent and eternal part of every person, the soul. The house is only as good as the foundation and so it is with a leaders soul. The walls must be ridged, binding and durable to survive the elements. They must be ridged enough to not bend under stress, be capable of binding the roof to the foundation and the walls to one another; keeping the structure together and they must be durable enough to endure outside forces powerful enough to topple the building. We too have walls known as our body. Of course, every resident must have a roof. The roof must be constructed to allow for runoff so it does not take on additional weight from debris. It must be centered so as to keep the walls straight. Most importantly, the roof must act as the covering protecting the valuables residing directly below it. Our roof is our mind. Have you ever gone somewhere with someone you did not particularly care for? They were not a bad person; they just were not a good fit to your personality. You may not have even realized why you felt the way you did about them. Possibly the person was just not a lot of fun to be around, you might not have had much in common with them, or they just rubbed you the wrong way in general. That kind of personal chemistry can make a one hour event feel like a week-long visit to a sadistic dentist. It is sad but you just could not wait to be out of their presence for whatever the reason. Do we no longer know what morals look like? Do we just no longer care? Two very important questions. Together, they are both true some of the time, neither are true all the time but anytime either are true, society suffers. One should be perplexed at the thought of how either of these questions can be true in an advanced and intelligent society such as the United States. Of course the argument can be made that intelligence has little to do with morals. Centuries ago, societies held morals above the man-made laws of the land primarily because morals come first in the process. It is always the morals of a society that create the belief systems of the leaders who drafted the laws that set the legal boundaries established for the society. If a society is immoral the laws that they pass will also be immoral. In those cases, the immoral society is destined to fail due to the widespread lack of trust of all members of the community. As an example of our decline, it is currently legal to allow the harm of a viable fetus of a healthy woman yet it is against the law, in many jurisdictions, to even whip a non-violent animal. 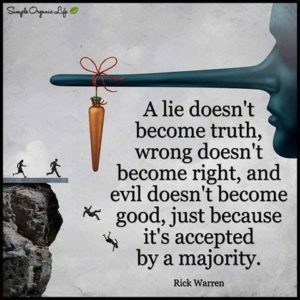 Are not both acts morally wrong? Yet one is legal. If any given person holds one of these acts as morally apprehensible while the other morally acceptable what does that say about that person’s belief system? Can the same person believe it is immoral to safely separate children from their parents while also believing it is perfectly fine to physically remove a healthy child from a healthy woman’s womb resulting in the child’s planned death? Recently, we were able to view a national job interview where the candidate was accused of an immoral and illegal act. The available facts were brought forth, witnesses were questioned and the candidate was cross examined by a committee of people. The results showed no clear evidence to support the accusations. In a moral society, an unsubstantiated accusation would be held to be without merit. It would be understood that all people are to be treated as innocent until proven guilty by facts; but not in today’s America. Many of this man’s opponents and critics, if the candidate would have been them or a loved one of theirs, would have wanted fair treatment; but solely on his moral beliefs they have and are treating him as if he were guilty. This case was a public one but make no mistake, cases like this happen every day in boardrooms throughout the country. Do we know longer care about treating people morally fair? Do the facts and evidence still hold any substance of order? Every day you hear people blaming the presence of guns for the high level of gun violence in the world. Yet, many of these same people who scream and posture to make gun ownership illegal depend on armed security to be with them around the clock. It would seem that the protection of one’s security is morally right for everyone; not just those who can afford a personal security detail. In today’s society, we seem to rationalize morals to our whims instead of living to moral standards. The difference is clear. When I am allowed to rationalize my personal moral code; no one has the “right” to question my beliefs. They become relativistic to the individual not to the truth as it pertains to the events in question. The facts and the truth no longer matter. On the other hand, if I must live to a moral standard, a level much higher than any one individual, then society has a say in what is perceived as moral or immoral. Each member of the society relies on one another to keep the society grounded in the truth. I love unique words and each year new ones are created, liked or disliked by average people like me and you. As a matter of fact, I created a word for my replacement of the word “problem-solver”. I have never liked that word because it elevates the problem above the solution; at least it does so in my mind. So, the word “Solutionary” was born in 2009. Today its popularity continues to grow. As a student of leadership, I have studied leadership for a little over thirty years and recently the term “followship” been growing in usage as a word that describes the practice of following a leader. Do we still have true heroes? Does the definition change as society changes? These are a couple of thought-provoking questions which were recently posed to me in a meeting that I attended. The discussion that followed was riveting and caused me to reflect more fully on the topic as it relates to moral and ethical changes of a society.